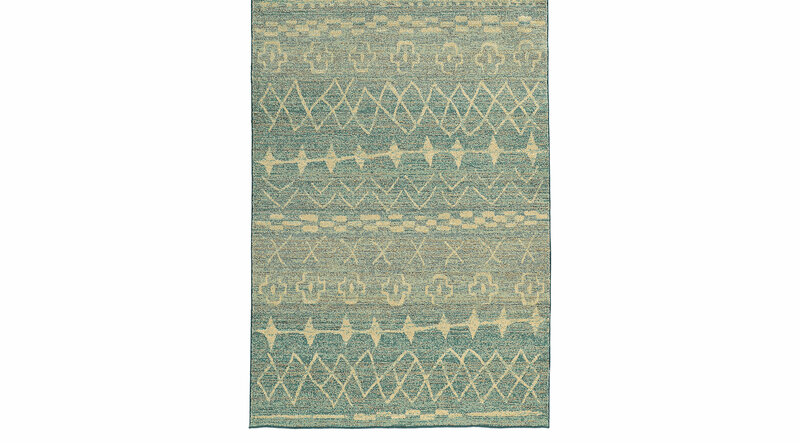 Natural shades of beige and blue decorate the Misty Vale rug. Made in Egypt, this bold transitional rug features a distinctive pattern and style that is well-suited for a variety of decors. The mix of lines and patterns creates an easygoing and eye-catching design that will welcome you home.